Was Your Irish Ancestor in a Benevolent Society? Who, What, When, Where? 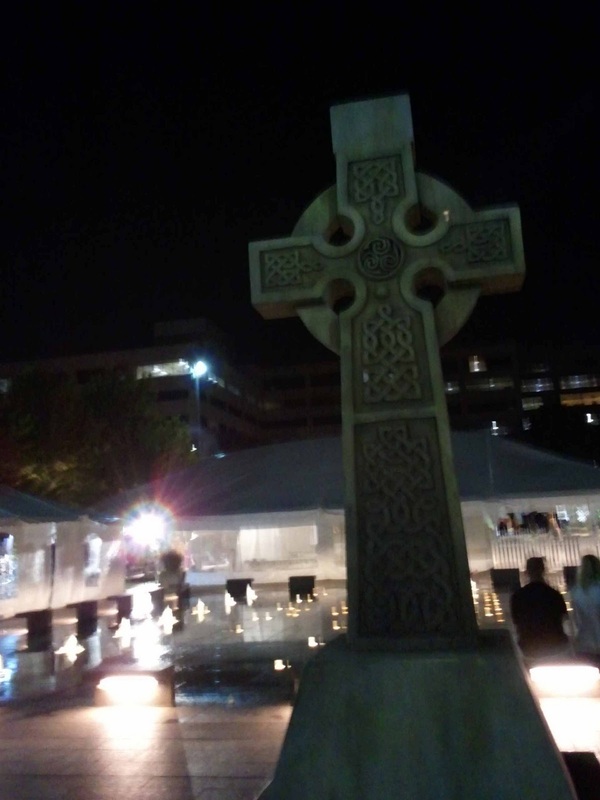 My Irish Ancestors! 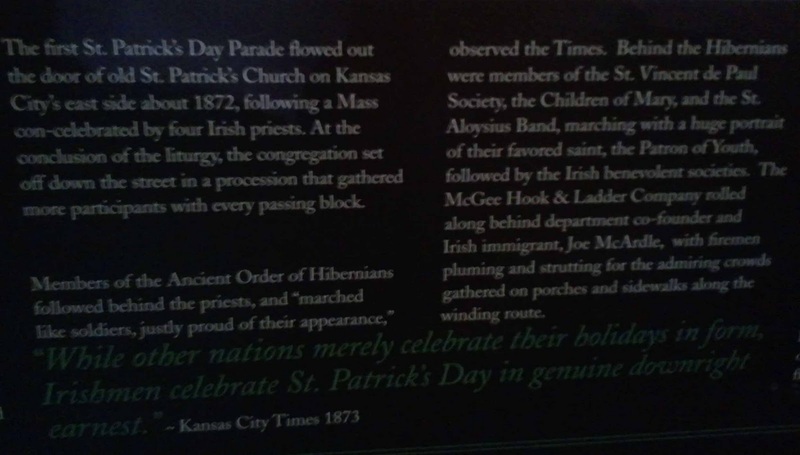 There are more than 250,000 in the Kansas City region who claim Irish heritage and as many ancestors who have participated in the Irish Day Parades beginning in 1872. Any Irish ancestry researcher would be remiss if they chose to ignore the information this small blurb gives us. A few questions to consider: 1) Where were my ancestor's on that day? 2) Did they participate in the parade? 3) Did they belong to these organizations/societies? 4) Were they involved in the Irish community, church, politics or other labor unions? 5) What was their "pecking" order in the parade? 6) Were there other Irish organizations/societies? Was He a Miner or a Musician? "Members of the Ancient Order of Hibernians followed behind the priest and "marched like soldiers, justly proud of their appearance," observed the Times. Behind the Hibernians were members of the St. Vincent de Paul Society, the Children of Mary and the St. Aloysius Band, marching with a huge portrait of their favored saint, the Patron of Youth, followed by the Irish benevolent societies. 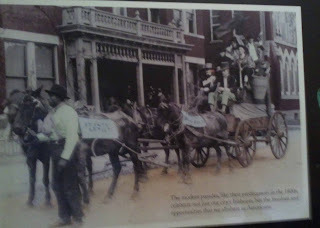 The McGee Hook & Ladder Company rolled along behind department co-founder and Irish immigrant, Joe McArdle, with firemen pluming and strutting for the admiring crowds gathered on porches and sidewalks along the winding route." (Displayed at Kansas City Irish Fest; August 2011). Just by knowing the origin of each group, you may be guided in the right direction. This is enough information to keep an Irish family researcher busy. Contemporary local books may give your research a jump start. Newspaper articles, obituaries, journals, diaries, church records and court cases may also give the researcher a bit more information about the members of these organizations. Extract: pg. 141-142 O'Laughlin, Michael C.
Members of an Irish-American secret society. Members, mainly coal miners were associated with Pennsylvania anthracite coal fields in the Civil War era. The trials and arrests were from 1876−1878. Formed from the St. John's society 75-100 'juveniles" of West Kansas City. Founded in 1833 by six university students in Paris under the patronage of St. Vincent de Paul. This primarily Irish society was introduced in Chicago during the economic depression of 1857. The Society's purpose was to provide direct aid to the suffering parishioners. 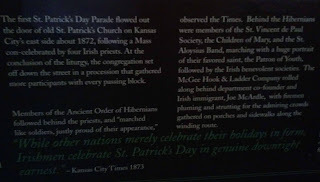 The Irish Center of Kansas City located at Union Station whose mission is to "... preserve this heritage at the Irish Center! as stone masons, railroad workers, and founding members of the police and fire departments."